Audrey think Serious Cat is FUGLY. Yeah it looks kinda weird, really. But it sure makes me giggle if I look at it for more than 2 seconds. 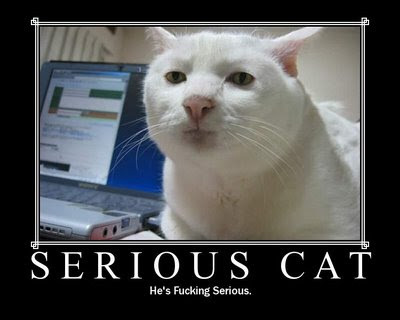 So I guessed Serious Cat = Joke = Oxymoron. I've already printed it out and it's over my bed. Does loads to my mood! You all should try it too.